Home / Entertainment / Viral / Ed Sheeran Is Taking Over South Africa In 2019! After 6 months of speculation, hints and torturous suspense, Ed Sheeran has officially announced he will be touring to South Africa in March 2019! Sheeran's SA tour dates are the 23rd of March in Johannesburg at the FNB stadium and the 27th of March in Cape Town at the Cape Town stadium. Sheeran has been selling out stadiums across the world and, most recently, across the UK after he sold-out four nights at London’s Wembley Stadium, eventually selling over 1.1 million tickets on his UK tour alone. So you better be setting your alarm for the 29th of June at 9am and hitting the refresh button on Computicket to secure your tickets. He holds the record for IFPI’s best-selling global recording artist of 2017 after the release of his record-breaking, third studio album ÷ (pronounced “divide”) last March. Sheeran has now sold over 15 million copies across the globe! The album, ÷ contains Ed’s monster hit singles including Shape of You – the 3rd biggest-selling single of all time in the UK and most-streamed track of Spotify – Castle on the Hill, Galway Girl and Perfect. Thank you to AEG and Big Concerts for making dreams come true even if it's only for two days. Don't daydream about Sheeran's perfect guitar skills for too long because tickets can ONLY be bought off Computickets website – and they cannot be transferable or resold because he started a pet project to stop ticket reselling companies taking advantage of fans by buying tickets and selling them at significantly higher prices – so you need to be on the ball for this one! 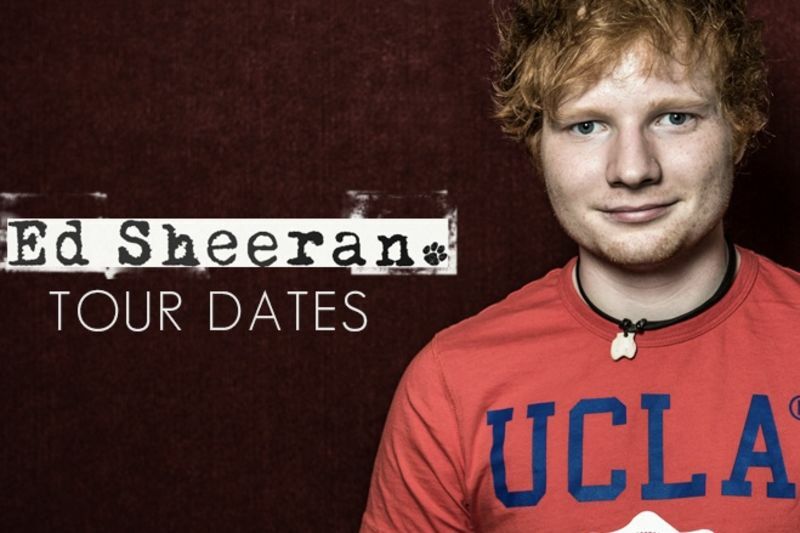 And, if you though of snagging Sheeran while he's here using your hilarious one-liners, well, sorry ladies, he's taken. He got engaged to his high school sweetheart a couple of months ago! However, we completely condone shouting your admission of love for him and even throwing your bra on stage (if you manage to get that close). Is Ed Sheeran really ready for South Africa? Are you excited? Leave us a comment in the section below. Froot Loops Mini Donuts From Hardee's And Carl's Jr.